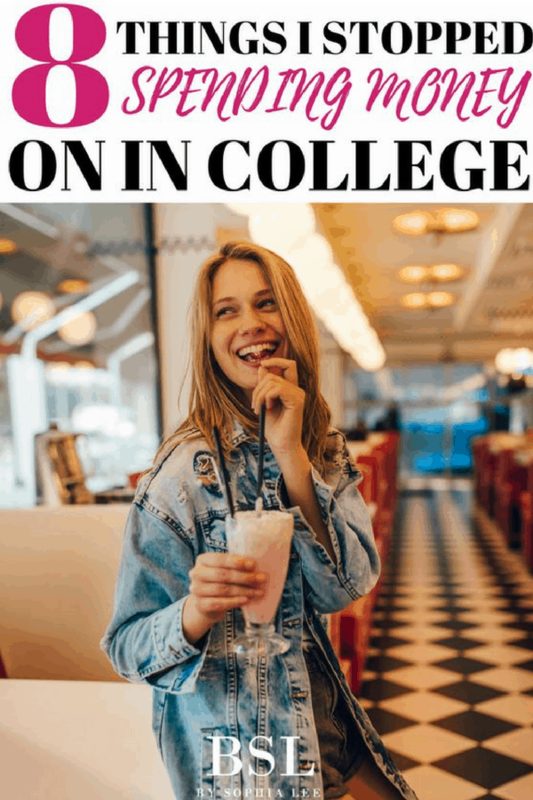 This post is all about ways to save money in college. As a college student, you always feel like your constantly throwing money in different directions. Way too often you avoid checking your bank account for weeks, only to find that you barely have any money left. The worst part, you don’t even know where that money went. This used to happen to me all the time. One day I got sick of just hoping/praying my card wouldn’t get declined and looked at where I could cut some of my spending. I started thinking about all the ways I could save money in college and ended up cutting hundreds of dollars away from what I was previously spending. 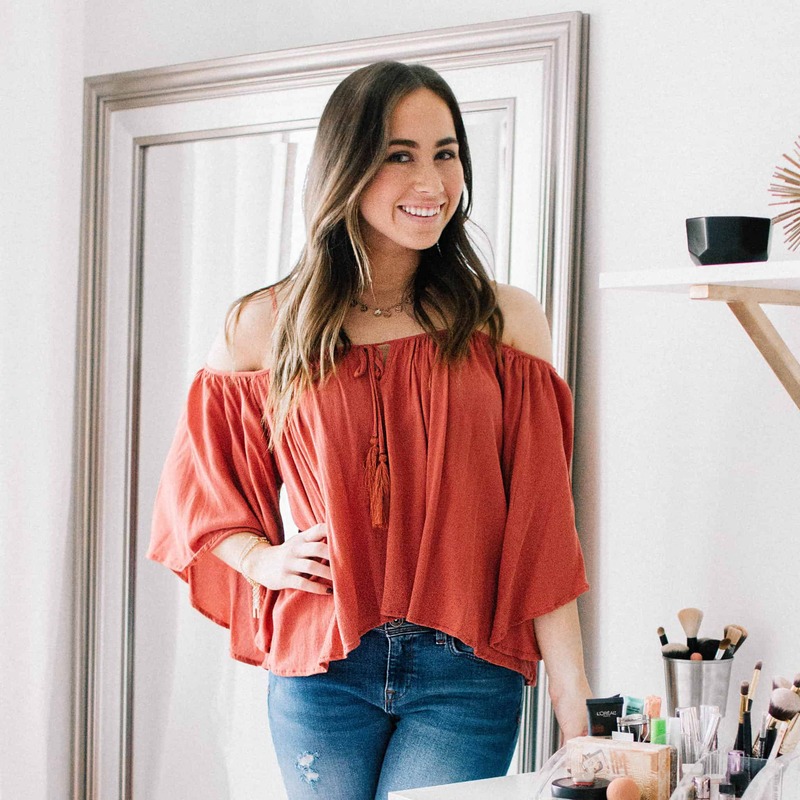 Here are 8 places I stopped spending money in college and ended up saving hundreds of dollars. I gave myself a set amount of “social” money. When I would look back at what I spent money on every month, a huge majority of it was when I was out with friends. It is so easy to get carried away with restaurants to go too and amount of drinks to buy at the bar. ….and I have the worst FOMO :/. So, I knew that I didn’t want to cut socializing out entirely. I mean, it is a huge part of college! I came up with a method that has worked great for me. Every month I look at the amount of money I have saved in my account and decide a reasonable amount to be put towards just socializing. Usually, I keep it less than $40 and that’s been manageable. I take out that money in cash and put it in an envelope in my wallet. This is one of the best ways to save money in college! You don’t need the nicest apartment as a college student. Every school has different deadlines for when apartments need to be chosen. Mine was just last month so this is pretty fresh in my mind but I know that the school I transferred from needed leases signed in October. Whenever it is normal for your town to start looking at apartments keep this in mind. You do not need the nicest apartment in college. Believe me, I want the nicest apartment in the city just as much as you but it raises the cost so much. I can almost guarantee that you can still get a clean apartment or house that maybe isn’t brand new or newly updated and is still totally liveable. BTW, this is coming from the most high maintenance girl ever ;). My friends and I debated between an apartment that was brand new and one that was older (clean though) with the same amount of bedrooms. The catch: It was $500 dollars more each month. Of course, that divided with the number of girls I am living with isn’t THAT much but it is an extra $150 I don’t have to spend because we went with the cheaper option. It’s things like this that you have to consider when looking for ways to how to save money in college. Go to the library instead of a coffee shop. I love coffee shops and get so much work done here but I started getting in the habit of going their all. the. time. Every time I went I would easily spend $7 dollars. Before I realized (more like purposely ignored) I had spent more than $40 dollars in two weeks! The library might not be the same exact atmosphere as a coffee shop but you can get the same amount done and don’t need to spend any money. OR you could plan on doing one day a week at a coffee shop and the rest at the library. It will be something you really look forward too then! Take advantage of this for ways to save money in college! Did you know that there are hundreds of popular stores that offer student discounts? I didn’t know that and when I found out I was mad because I could have saved a lot of money! 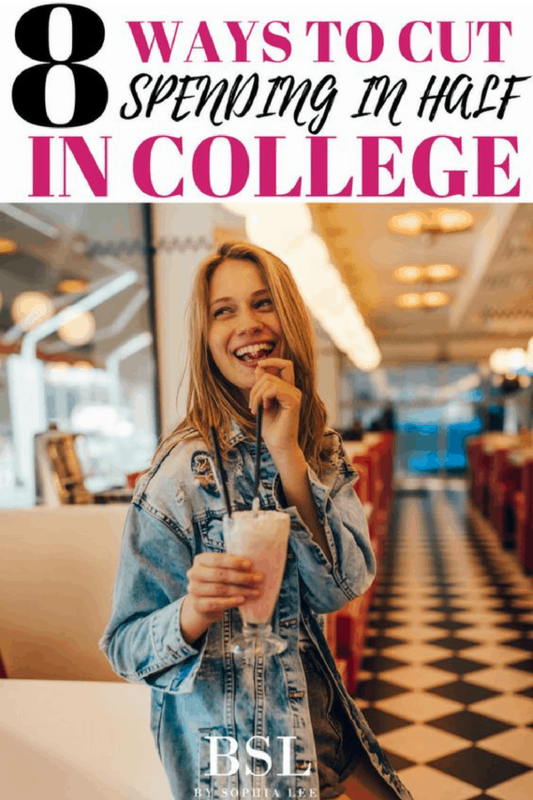 I actually wrote a post on 49 places that offer student discounts. Some of my favorite stores that I have started using the discount at are ASOS, Topshop, Adidas, Qdoba, and Chik Fil A. Shop at the cheapest grocery store and use coupons. Alright, if you have Aldi’s near you, you NEED to try it. Especially for fruit and veggies, it is so cheap. You can’t get all your grocery store shopping done there, but you can do a lot. I love fruit and vegetables but they can be so much more expensive and it usually stops me from getting them. However, at Aldi’s they’re cheaper than I have ever seen them and really good. In my hometown, we have a nicer grocery store and a less inexpensive grocery store. They carry the same exact products but the nicer grocery store is more expensive and doesn’t offer many coupons. The cheaper one always has sales on food and I can usually expect to get at least $10 dollars off my total when I go to check out. When I started shopping at the cheaper grocery stores I ended up saving a lot of money even though I was buying the same food. Share a Netflix/Spotify account with your friend. Lucky for us, with a student discount these are really inexpensive. But, if you’re really looking to save money see if a friend wants to go in with you and share these accounts. You can each pay for half. Netflix is easier to share than Spotify is though. I share my Spotify account with my boyfriend and only one of us can listen at a time. This usually isn’t a problem but thought I should let you know if you decide to go this direction. Buy cheaper drinks when out with friends. Guys, this has saved me so much money. Drinks are really expensive and I have a track record of buying some of the most expensive drinks. I wish I liked beer so I could just drink cheap beer but I need the fancy sugary drinks that cost $10 or more per drink. What I have done is really worked hard (haha dramatic!) to find a drink that is much cheaper and that I still enjoy. I’ve landed on vodka with pineapple juice. I would drink around and see if you can find a cheaper drink! This one was really hard for me. I have been a member at Orange Theory for the last year and love it. I really like how its a guided workout and that once I was signed up for a class I was committed to it. BUT, it was over $100 dollars a month. I just couldn’t justify anymore because I have a free gym literally 20 feet away from my dorm. I am not good at putting together my own workouts so I got the Kayla Itsines app and have been doing her challenge for the last 12 weeks. It’s not the same as a fancy workout place but I am getting the same results. These are some great ways to save money in college. These 8 things I changed honestly barely affected me. I didn’t personally notice a change, BUT my bank account did. Humblebrag: I JUST paid off my $8,500 car in just one year. Sent the last amount of money in yesterday!! 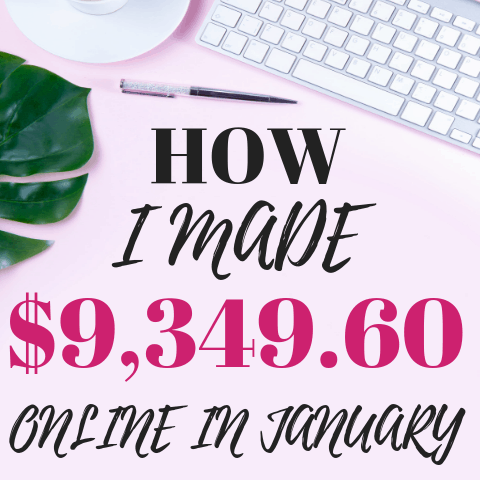 I can almost guarantee with a little bit of thinking and look over your finances, you can find easy things that will make a huge difference on your monthly costs. Pin these to remember this post! Loved this article and so smart to get in these habits now,Well done!